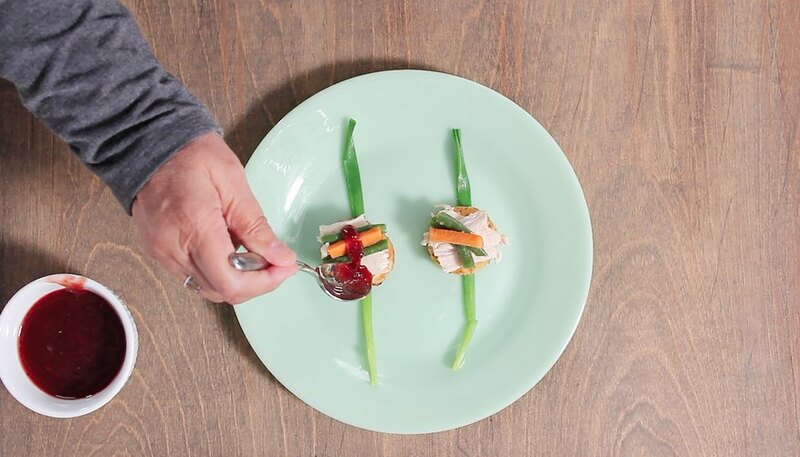 Leftovers can be the best part of Thanksgiving weekend. But you always get to that point where you have too much left to throw away, but not quite enough left to feed the crowd. What to do? 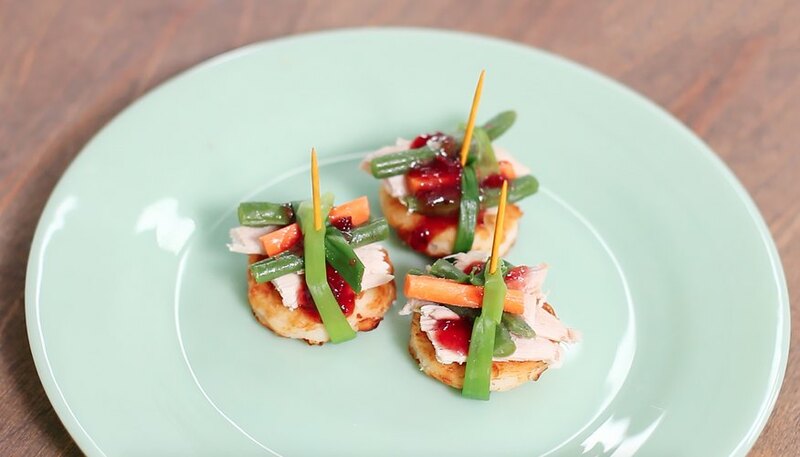 Make leftover bundle appetizers! Make small potato pancakes. We wanted ours to be uniform, so we used a biscuit cutter to cut the finished pancakes into perfect circles. To make the green onion stems more pliable, wrap them in a damp paper towel and microwave them for 10 to 15 seconds. 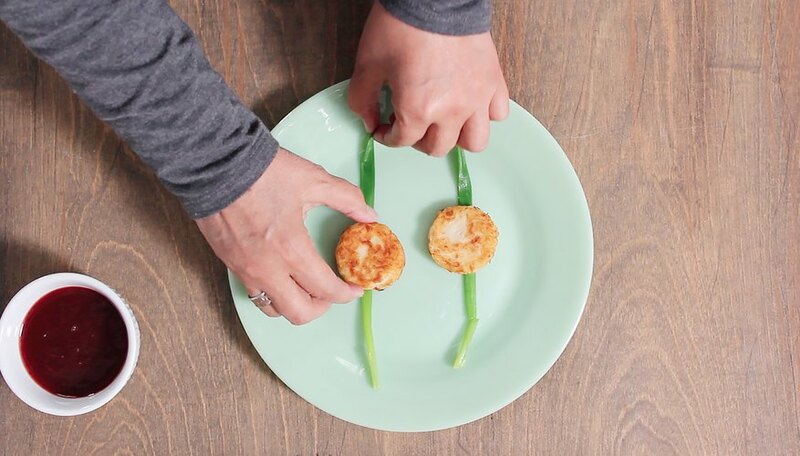 One at a time, lay out stems on a plate and top each with a mashed potato pancake. 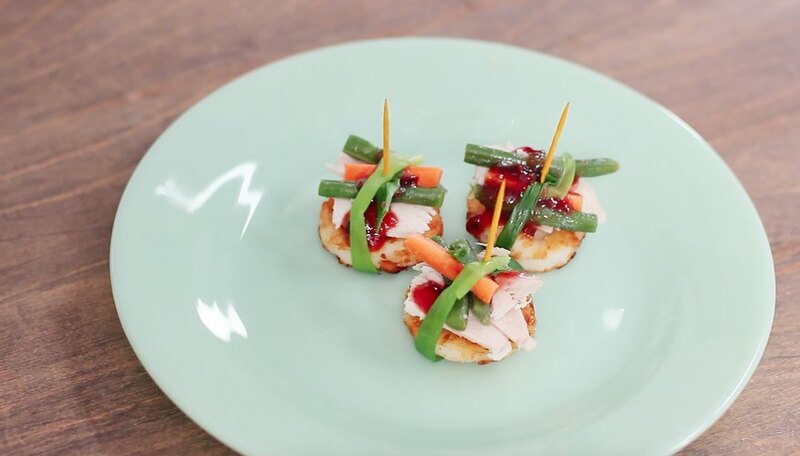 Cut leftover turkey into pieces and add to the stack. 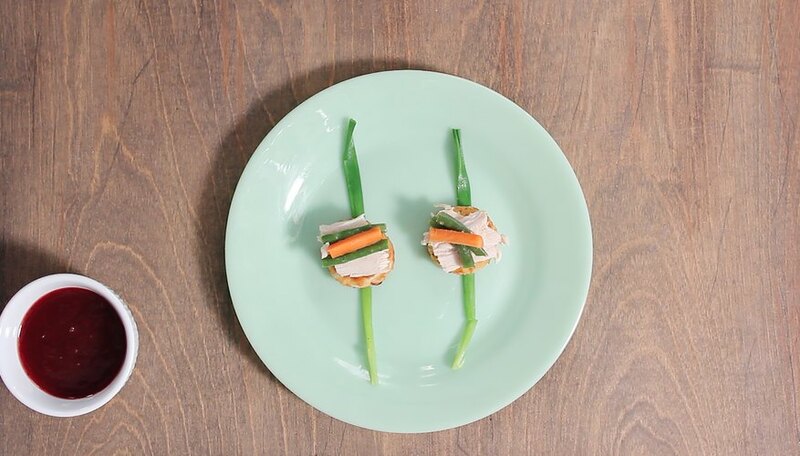 Cut veggies into thin strips and add to them to the stack. Ladle cranberry sauce over the top. 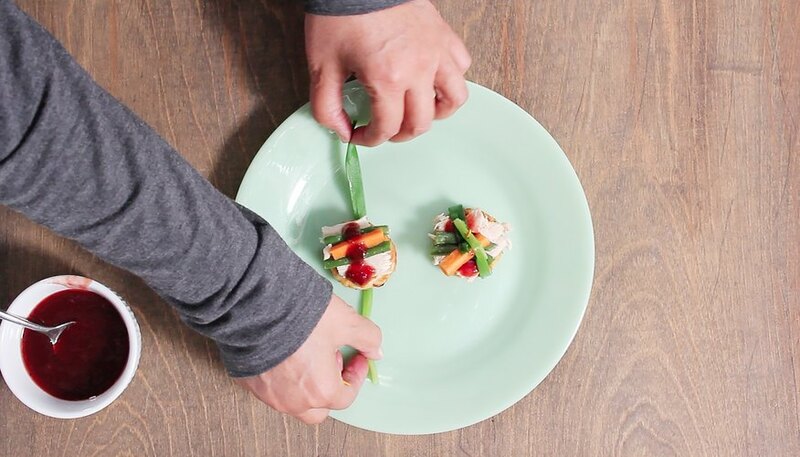 Wrap the stems around the bundle and secure the stack with a toothpick. Jerri Farris is editor-in-chief of eHow.com. Before joining Demand Media, she authored 24 books and wrote for print magazines, video and online publications. Her specialties include lifestyles topics, home improvement and crafts. Farris lives and works in Santa Monica, Ca.